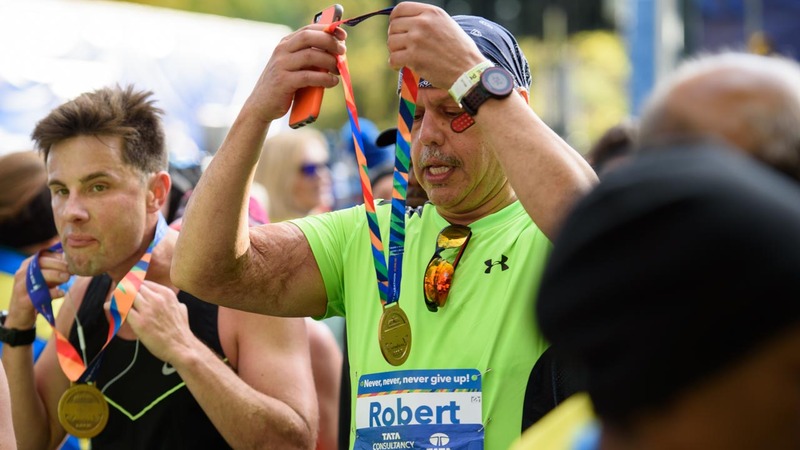 NEW YORK (WABC) -- Eyewitness News is sharing inspiring stories of runners who finished the 2016 TCS New York City Marathon. 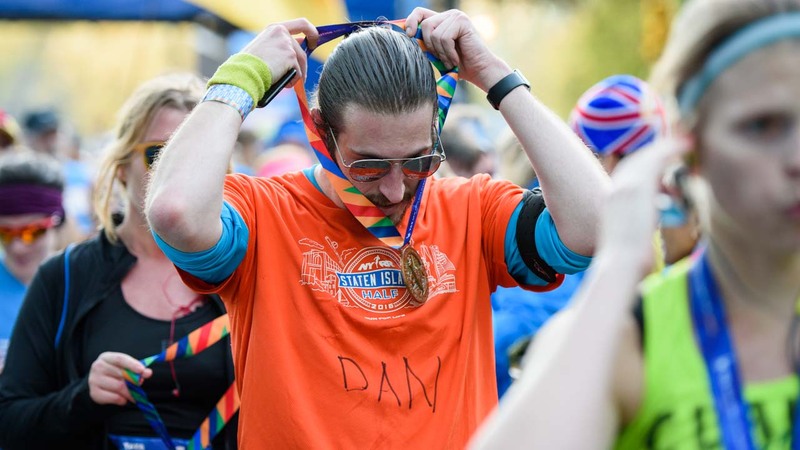 We were positioned just past the finish line, and asked runners why they were running and what kept them going. Check out their stories below. "I just ran Berlin about a month ago so I wanted to do all six measures. When it's tough, you've got the crowd behind you and just keep on going. Just go from one mile to the next mile. It's the most amazing crowd, the most amazing city and they make it easy for you." "(I was running today) just to prove myself wrong. Just to show me what the human body can do. It's amazing. My dad can't run. He has Multiple Sclerosis and he's paralyzed from the waist down. So I was running out there for him. I don't know why I was so emotional. It's the most difficult thing to explain. It's the most overwhelming thing, I can't even tell you how or why, you know what I mean? I think that it's just so much bigger than me. This is the best marathon in the world. People say if you're only going to do one, do New York. It's my first one, too." 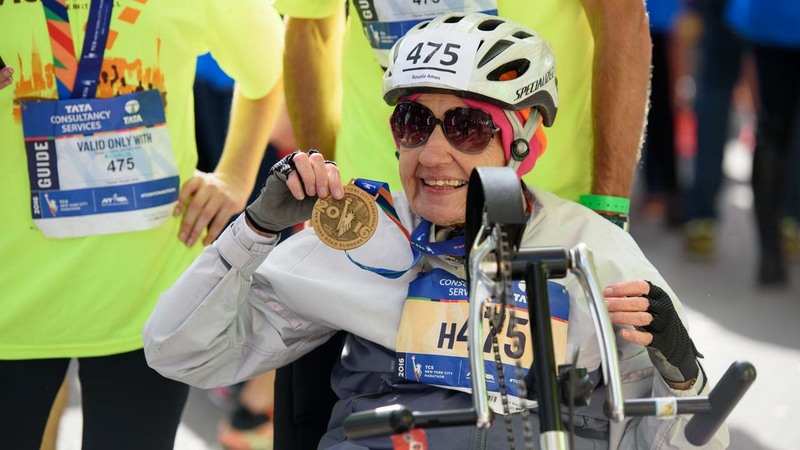 "I had a very specific goal, which was 2:50. I had shingles last week and I still did it. I'm not contagious, don't worry. I was running for the Dashing Whippets running team. 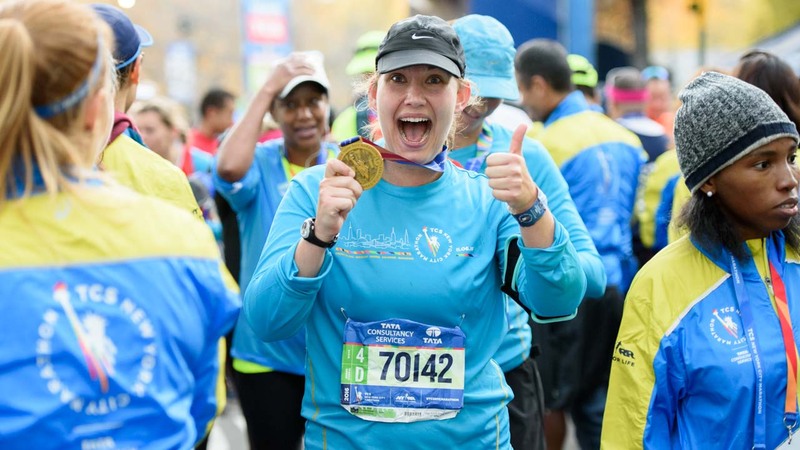 They turned me from a casual runner into a serious marathoner, and I'm very grateful to them." What was your motivation to get through the race today? "Just to dig deep and see what I could do. This is seven, New York, and a few more others. It never gets any easier, though. (I did this) just to go, just to be free and run." 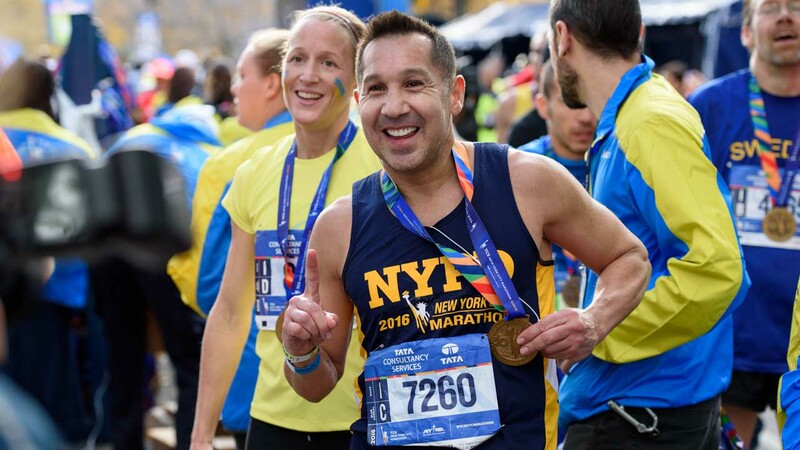 "It's my 30th New York City Marathon. It was great. We just wanted to finish. It's a big thing for me. The crowd was fantastic. Nothing like New York." What got you through the race today? "Knowing that my friends were tracking me. I didn't want to embarrass myself, because I talked a lot before I ran the race. I was running for myself. 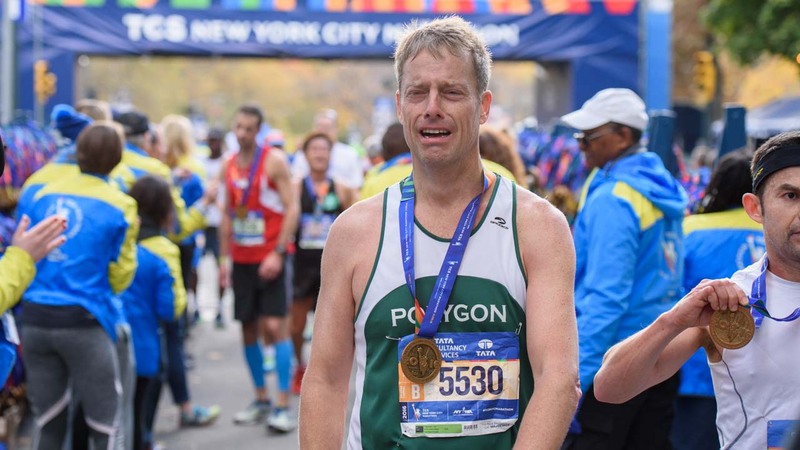 I'm trying to run a marathon on all seven continents so this is just another one on the list. This is five." "I dedicate this for my friend. He was killed in the mountain. One month ago, he went to climb the Matterhorn. He's a marathon man. 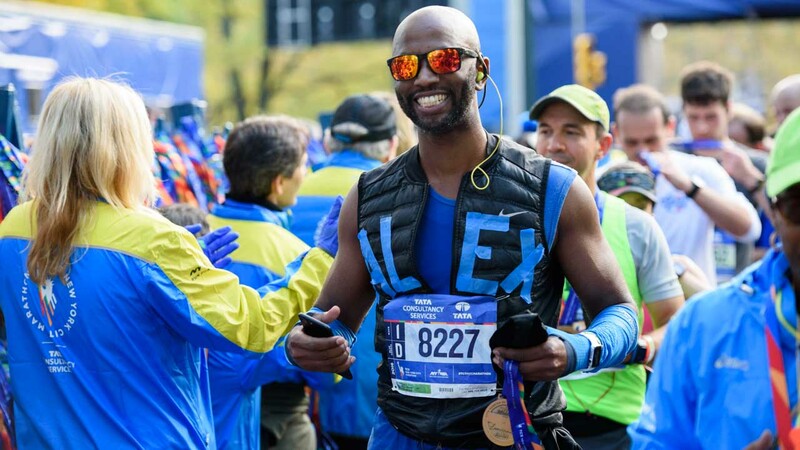 He ran the Boston Marathon in 2 hours, 50 minutes. 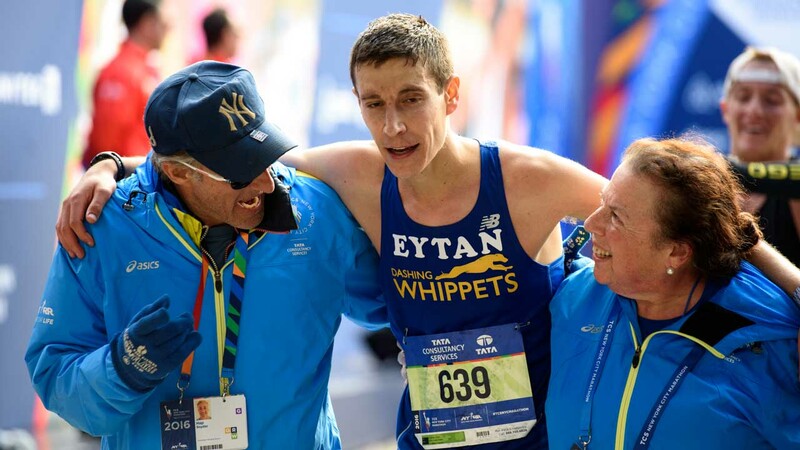 Good marathon man. He was very good at climbing, he was with another friend and died during the climb. I dedicate this to you." "I'm from Chicago. I did Chicago and Boston, so I wanted to do New York -- good trifecta -- and I did it. I'm happy. My uncle is a Chicago copper and so is his friend. We went yesterday to say hello to New York runners. They invited us to wear the shirts and I was very happy to do it." 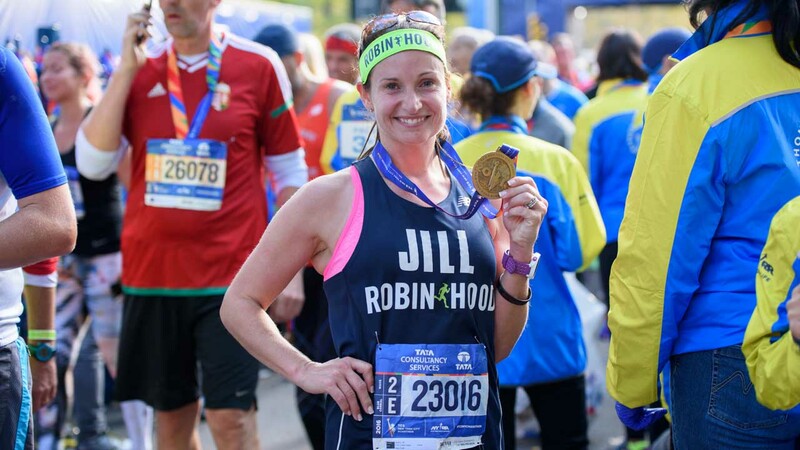 "I was running for Robin Hood. We have so many people in this country and this city that need our help, and the least I could do is sacrifice 16 weeks of my time to run something I've never done before to help those people in need, and they're all better for it. I raised $7,000. A fund matched everything over $5,000 so I actually raised $9,000, and every dollar went to all of the poverty in New York City." 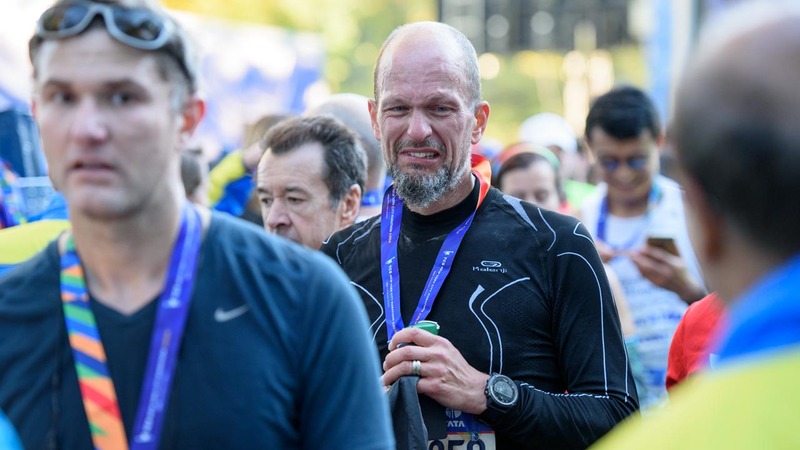 "It's my third marathon. 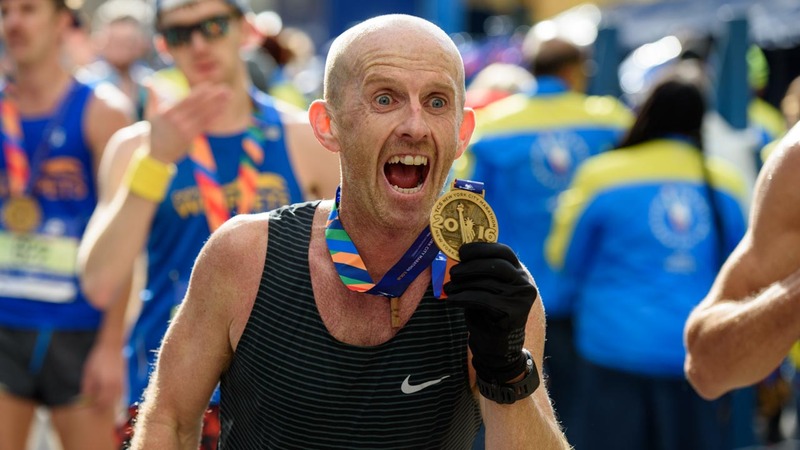 Ten years ago, I wanted to do the New York Marathon. It's my third one, it's the most beautiful. It's a dream for me. I ran it with my friend and we arrived together. The Queensboro Bridge is very, very difficult, but the end of the bridge is like a dream. The climb is really, really difficult. It's a beautiful town and the end of Central Park is endless." 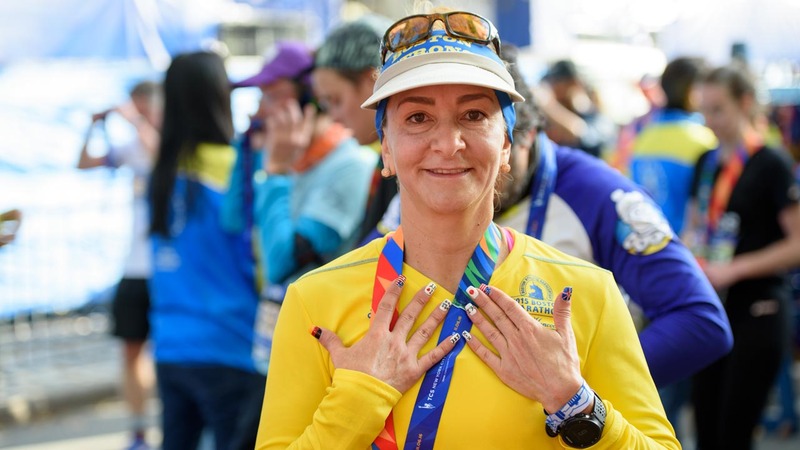 "Today, I'm completing my sixth world major marathon for this year. 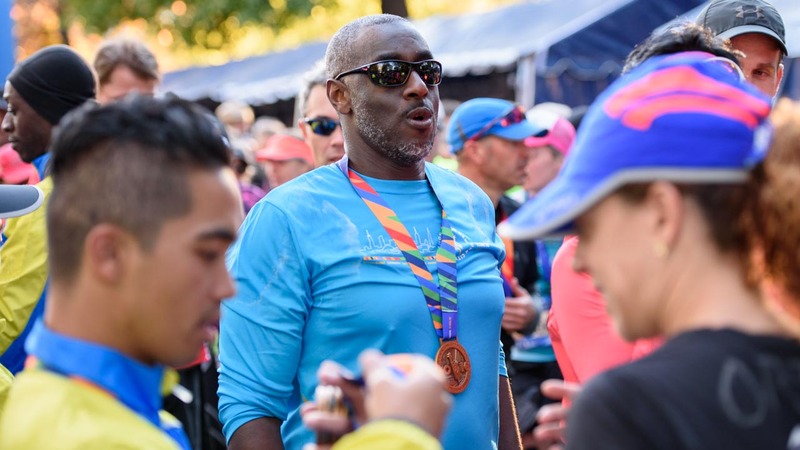 I turn 50, and to celebrate my 50th birthday, I decided that I was going to do all 6 world major marathons. So today, I get my sixth world major marathon medal. I did Tokyo in February, Boston in April on Monday, and then on Sunday I did London. I did Berlin on September 25, and then I did Chicago in October -- about four weeks ago -- and today I'm doing New York. All were in under 4 hours. Tokyo was 4 hours and 2 seconds, so today I did like 3:48." "Why did I run? I'm running for my health, for my longevity and it's a fun thing to do. It's health conscious and the longevity is the greatest reward you could give to yourself. Just run." "Ten years ago I had triplet boys and they were born prematurely. They were in intensive care and we lost them over three months. They died. After they died, I wanted to raise some money for the hospital that cared for them in Sydney. I wanted to raise $20,000 for one humidicrib. It's now 10 years later, and we've now raised $2 million and I've now come to New York for the first time with 17 people from Sydney running on my team. I just smashed my first marathon in 4 hours, 4 minutes. Another part of my story is my husband. Eight months ago he died of brain cancer. He couldn't come with me, but today I wrote on my arm all of the different names my husband called me. At 35K, I was out, so my husband took over and I flew the last 7 kilometers. So I'm just really proud." "I was running for Papyrus, which helps with the prevention of young suicide, in memory of my ex-boyfriend. It feels completely unreal. This was my first marathon, without any training. This is like my 15th run. I hardly trained at all. It was hard. I can't believe I finished." "(I was running today) pretty much because of my father. 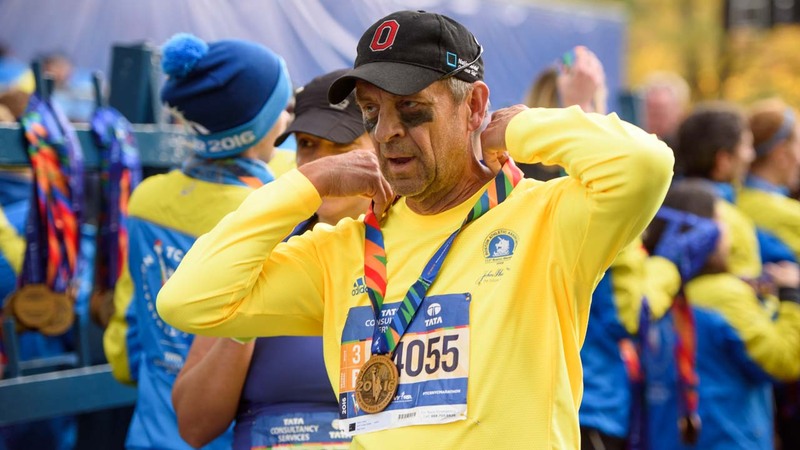 My father is a marathoner and I've pretty much taken after him. He ran it in 1994 so I'm doing it in 2016. 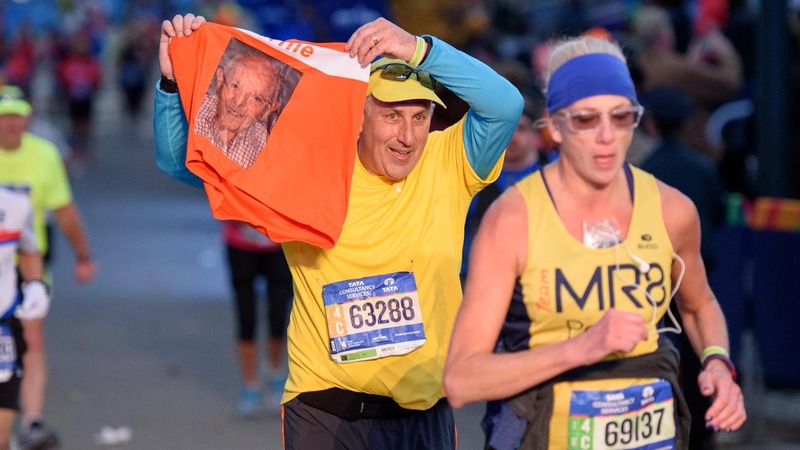 He's 74 years old now and and he's done four marathons." (What was your motivation to get through this race?) "To give him this medal." 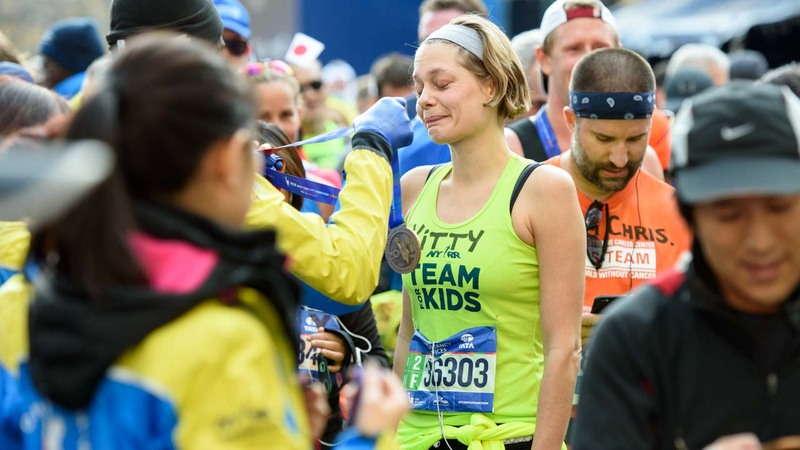 "We want to make all of the big marathons, and this is my second. It's great. It was a great day. The people, uh, wonderful. New York, great city." 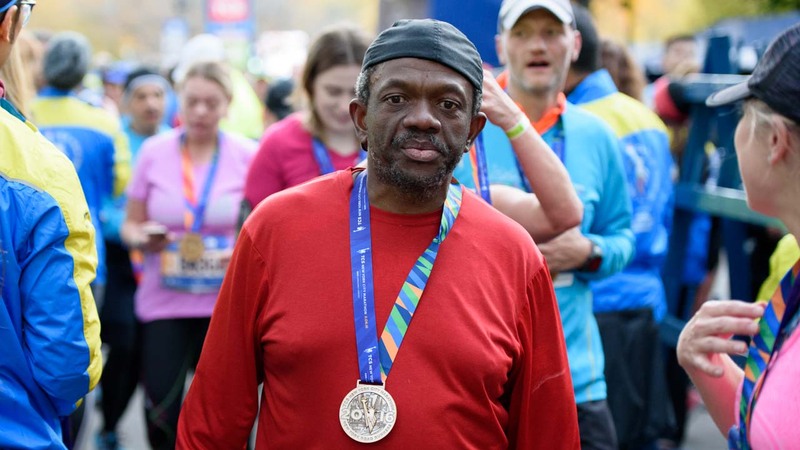 "Today was my 10th marathon. And this is my 10th and final marathon, because my wife is cutting me off. I got into New York on my first try, and I said if I got into New York I was going to make it my last. So I accomplished my mission. I better had finished or I would have been in big trouble, so my wife was my big motivator." "It's 10 years since my first marathon in Reykjavik, where I proposed on the finish line. I did that together with my wife. 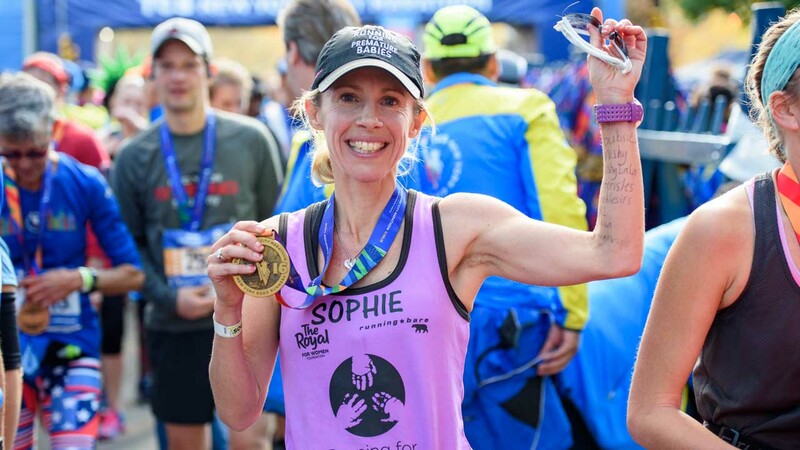 She's now back home with the 7- and 9-year-old in Switzerland, and I get a chance to run the New York City Marathon 10 years after in the city where I accomplished my masters degree. I studied at Syracuse University and defended my thesis here on 61st Street. So I'm sort of overwhelmed. I didn't run for 9 years because of the kids, and this year I just thought turning 47, reduce the heart stroke risk, start running again. It's just the greatest feeling in the biggest city in the world." "I just wanted to do another one before I get too old and I can't finish another one. This is my 18th and I haven't run one in 4 years. It's just something I had to do. 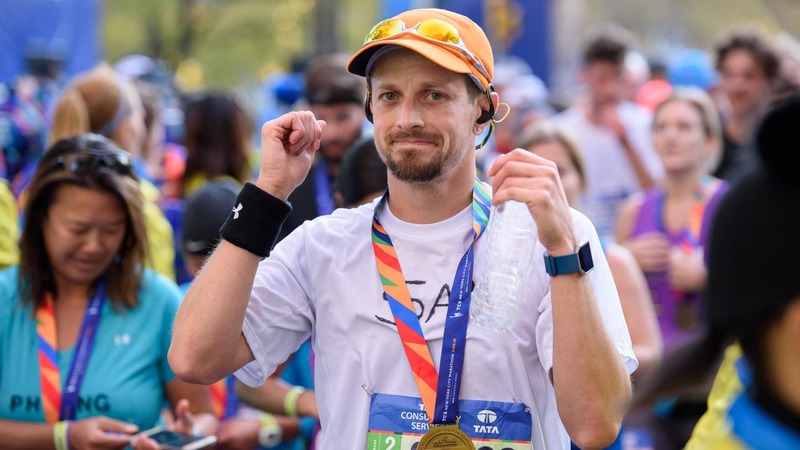 I've never dropped out of a marathon, and I've learned that you can get through it even if you have to walk a lot." "I love running. 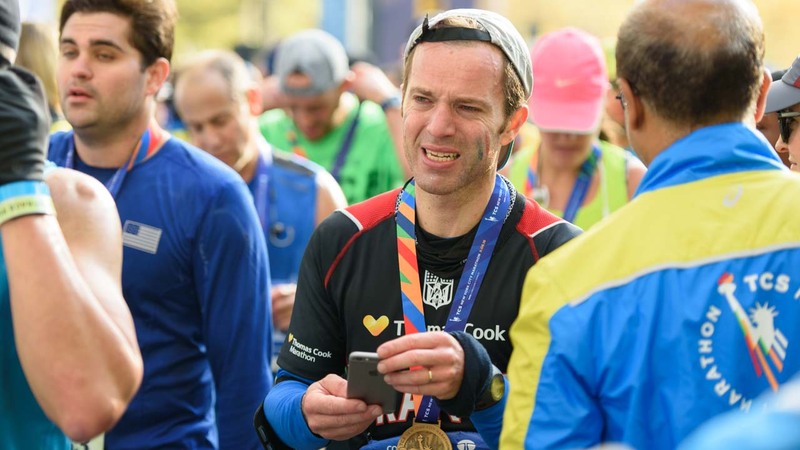 I did it for charity last year and I liked it so much I decided to do it again." "I want to run all of the six majors. I've done Chicago and Berlin so this is my third one. I've got Tokyo coming up next February. I figured I've done it before so can do it again. I knew it would be hard, so I was prepared for it to be hard and just kept going. It's harder than I thought." RUNNER: Rachael Gresson / Washington, D.C.
"My partner and I are from New Zealand and we've been living over here for a couple years. We found this great charity that I wanted to run for called "One Love Foundation." They do great work to help kids on college campuses avoid domestic violence and identify signs of domestic abuse. You know, it's a hell of a challenge, it's 26 miles and I was really on it to raise money. The meal at the end is the icing on the cake. 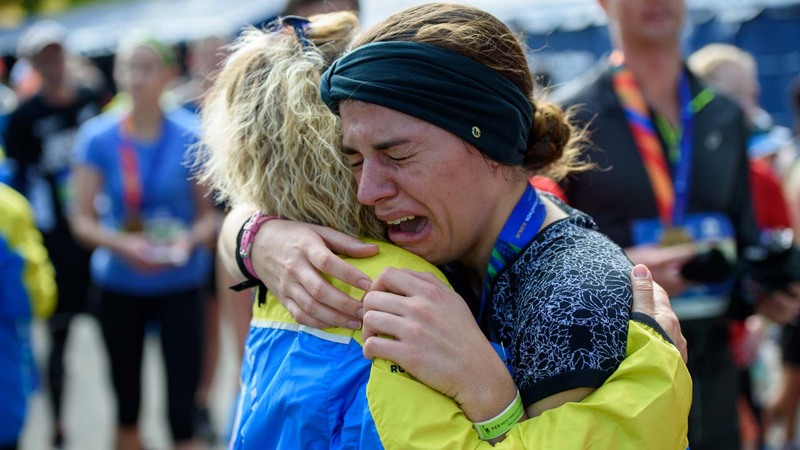 It wasn't our first (marathon), but it was bloody the toughest." 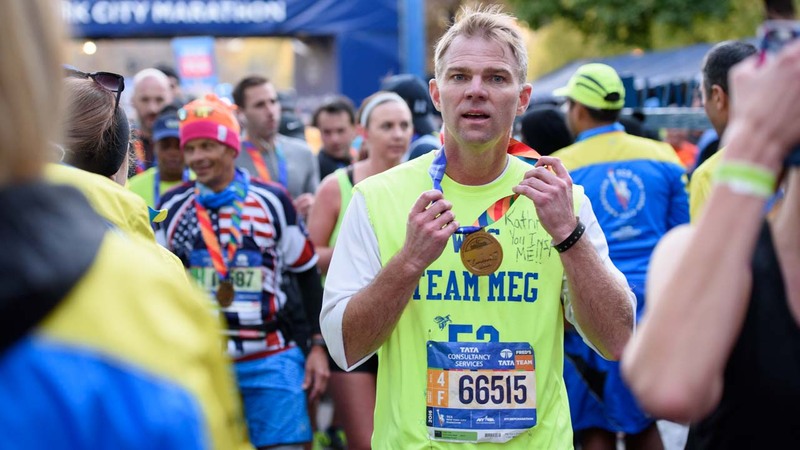 "I run for Team Meg, which is apart of Fred's team, which is Sloan Kettering Cancer Center. But it's a specific fund at Sloan Kettering that funds survivorship research. She passed away about 7 years ago, and survivorship, all of the challenges after cancer is what she was passionate about. So we started a fund in her name. It's about $1.2 million and researches just that subject. 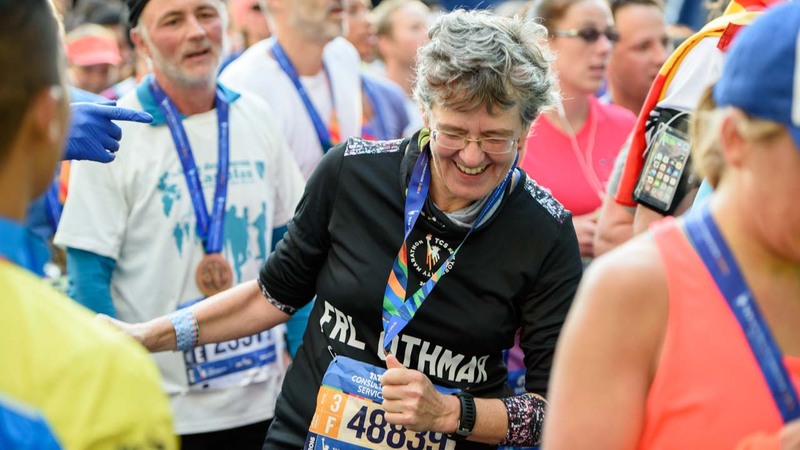 Each year we raise about $90,000 or $100,000 with 70,000 runners through Sloan Kettering and through Fred's team, and running in her honor means everything to me." "This is for my Uncle Bernie who has Alzheimer's. I'm just very proud to be running for him. 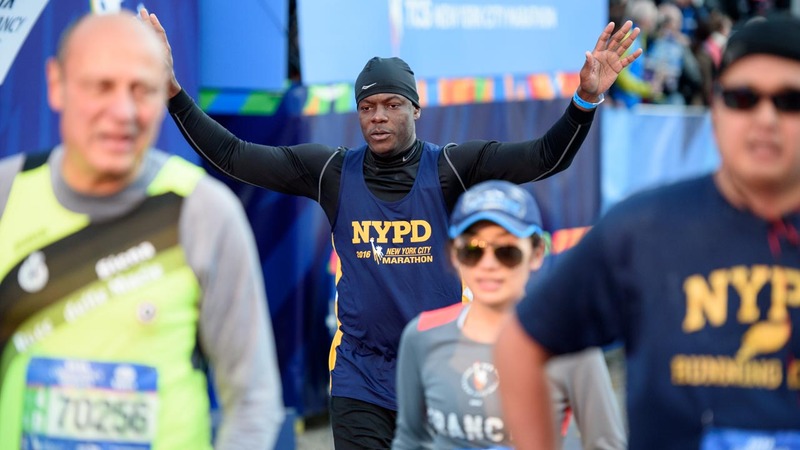 I raised money to get into the marathon and I'm running in his honor -- great man, I love him. This was one of the hardest (marathons). 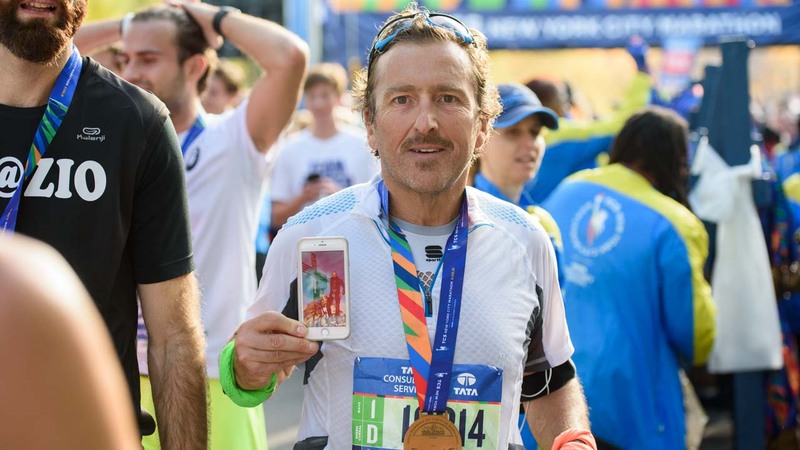 I've run a number, but I got kind of injured around mile 15, so I kept holding my shirt out, I kept looking at his picture along the way, so that got me through it." "This was on my bucket list." What kept you going? "Staten Island, the crowd. In Brooklyn, I saw a pregnant lady running. When I got to Queens, they had church choirs outside playing for us. The crowd energy was so great. I saw a blind guy doing it. If he can do it, anybody can do it." 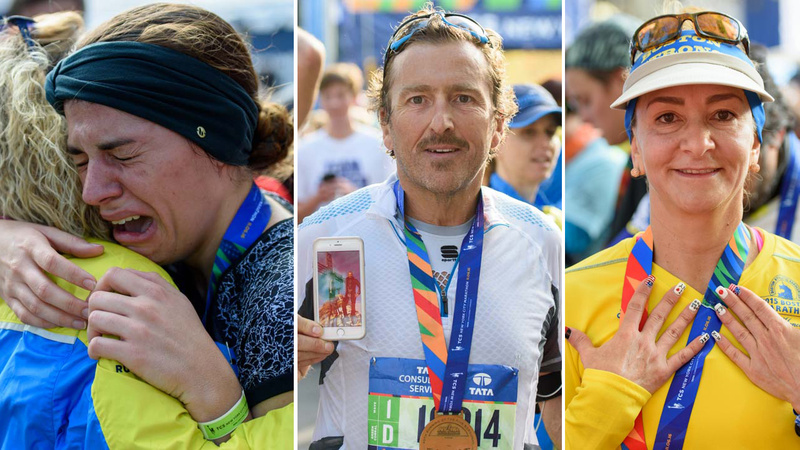 We are also sharing these stories on our Instagram feed using the hashtag #NYCMarathonStories. Simply post a photo of yourself with that hashtag if you want to share your story, too.